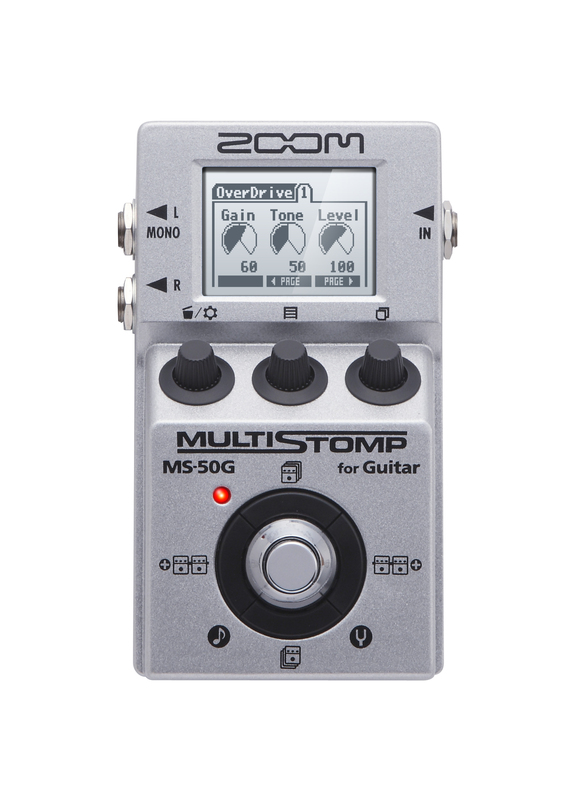 Zoom's MS-50G MultiStomp guitar pedal combines the power of a multi-effects device and the flexibility of an amp modeler in a single compact stompbox. With its 100 custom guitar effects and amp models (Ver.2 or later), an easy-to-use interface, onboard chromatic tuner and versatile power options, you'll be surprised at how much the MS-50G has to offer. 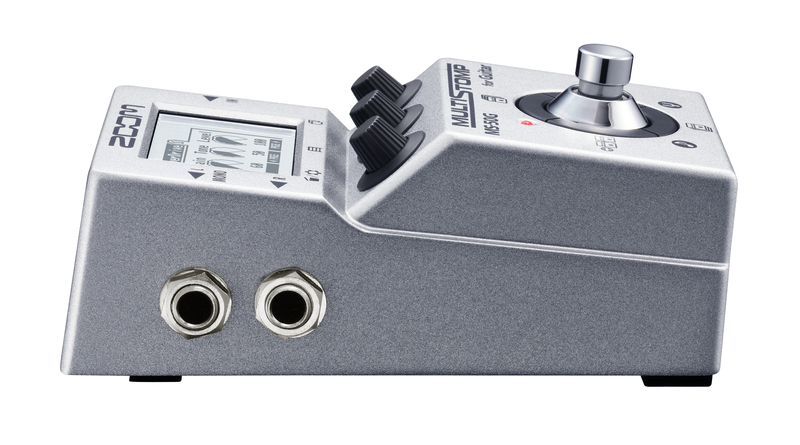 The MS-50G comes pre-loaded with 100 great-sounding effects that let you cut down the size of your pedalboard. With Firmware V3, which is free to download, you’ll have access to even more ways to craft the perfect guitar tone. Firmware V3.0 gives you access to the all-new MS-50G Effect Manager. The Effect Manager lets you view and manage effects on your pedal, as well as download 72 brand new effects. Shape and control your sound with these 25 compressors, equalizers, and filters, plus Zoom's Noise Reduction (ZNR) algorithm, designed to remove noise during pauses while still maintaining your instrument's natural tone. Other options here include automatic Slow Attack, AutoWah, and Cry, as well as emulations of the MXR Dyna Comp, Moog MF-101, and Z. Vex Seek-Wah. The MS-50G's 32 boosters, overdrives, and fuzz tones include simulations of the BOSS OD-1, DS-1, and Metal Zone, as well as the Ibanez TS808, MXR Distortion+, Matchless Hot Box, Electro-Harmonix Big Muff, and Pro Co Rat. Our ExtremeDS effect offers the most powerful gain of any distortion effect in the world, and there's even a simulator that allows your electric guitar to sound like an acoustic. The 22 amp models provided here include emulations of classic and contemporary tube and solid-state amplifiers from manufacturers like Fender, Marshall, Mesa Boogie, Two Rock, Diezel, and ENGL, each with its own distinct cabinet modeling that can be used to further alter the tonal quality. What's more, you can pair any amp model to any cabinet model for unusual, and often striking effects. The MS-50G also provides you with the ability to match the output of a given amp/cabinet model to the actual setup you’re playing through (options include Line, Combo Front, Stack Front, Combo Power Amp, and Stack Power Amp). You'll find 39 different modulation and special effects here, all specially crafted for guitar. These include phasing, flanging, chorusing, tremolo, vibrato, detuning, octave dividing, and pitch shifting—even an intelligent harmonizer that plays along in key. Vintage sounds include simulations of the Boss CH-1 Super Chorus and ADA flanger. The MS-50G's cutting-edge DSP microchip performs 32-bit floating-point calculations, giving it the ability to create sophisticated studio-quality effects such as the 29 rich, dense reverbs and realistic spatial simulations found here. 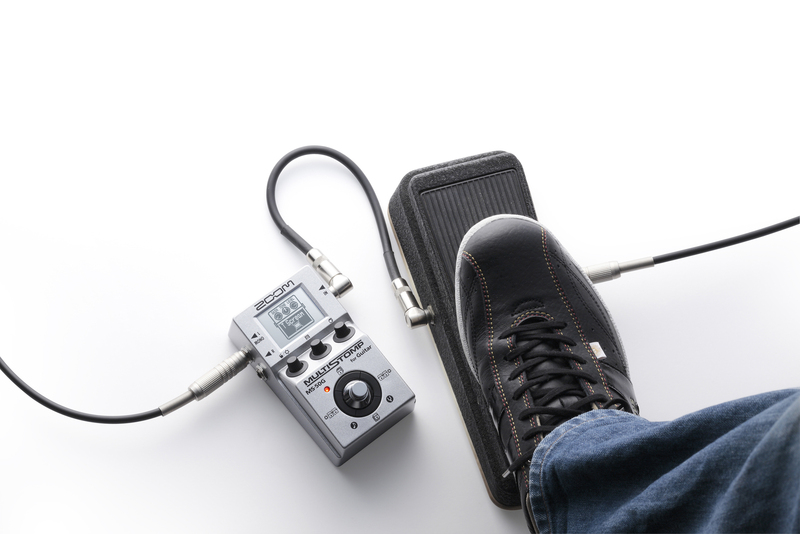 These allow you to place your guitar in natural-sounding spaces such as rooms and halls or to add delays of up to 4 seconds. There are 25 types of delays available for MS-50G. Also included are reverb plates and springs and a tape delay simulator, as well as reverse, modulated, and self-oscillating delays. tools and effects than ever before. to choose from 72 additional effects. The MS-50G's intuitive design allows easy navigation in both live and studio settings and makes creating, saving, and rearranging effects a breeze. Its input jack accepts signal from both passive and active guitars, and dual line-level output jacks enable you to record the MS-50G's many sounds in stereo. You can use up to 6 effects simultaneously and arrange them in any order you like—even bring individual effects in and out of the chain as desired. There are 50 patch memories where you can store your custom edited and chained multi-effects, with the first 30 pre-loaded with useful factory settings. 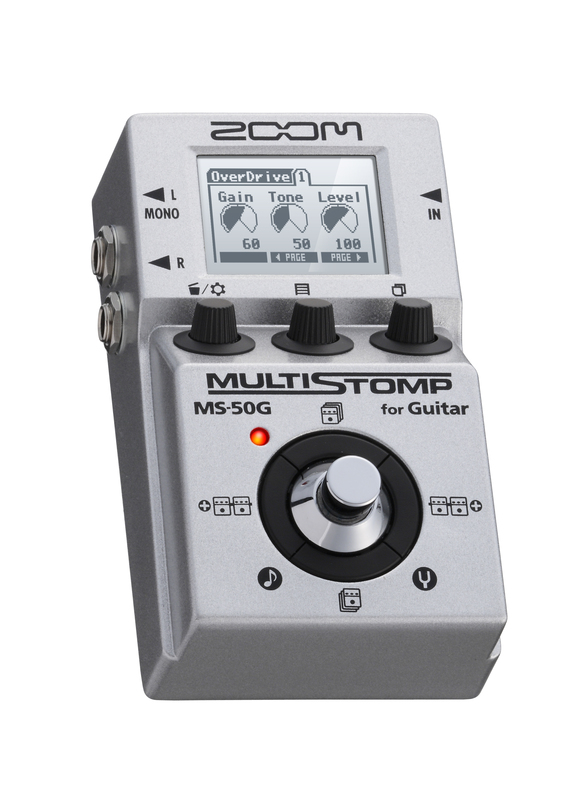 An Auto Save function ensures that whatever edits you make will automatically be saved, and you can create a list of up to 26 patches to cycle through as you step on the MS-50G footswitch—handy for live gigs or whenever you want your effects in a certain order. The onboard chromatic tuner supports a variety of standard guitar tunings—even drop tunings—and you can opt to either bypass all effects during tuning or to mute the outputs so that you can tune in silence. Last but not least, the MS-50G's Tap Tempo feature allows you to to set delay times and modulation effect frequencies in real time to the rhythm of the song you're playing. The MS-50G runs on just 2 AA batteries—either alkaline or rechargeable NiMH—and powers up automatically when a connector is inserted into its input jack. A Power Management function automatically turns the pedal off if unused for extended periods. Battery life is up to 7 hours with alkaline batteries, allowing you to use the MS-50G with confidence from rehearsal to the main stage. 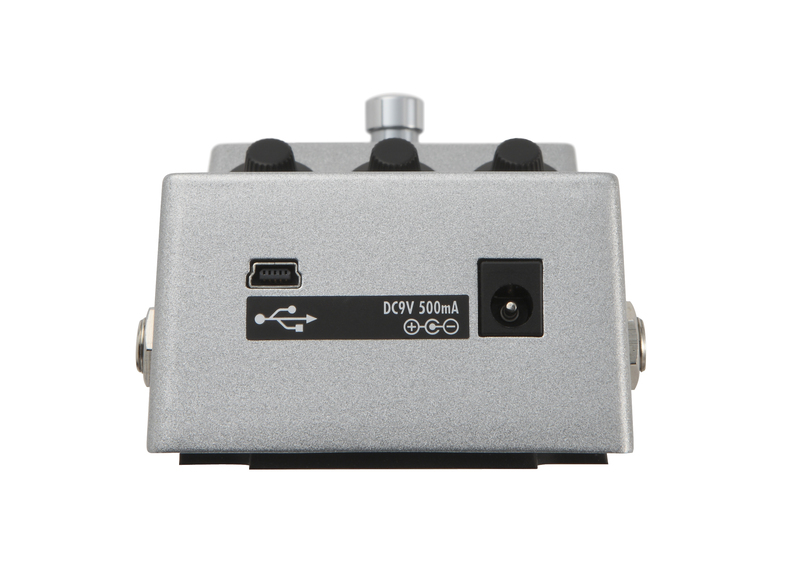 Alternatively, the MS-50G can be powered from an AC adapter (sold separately) or via USB.